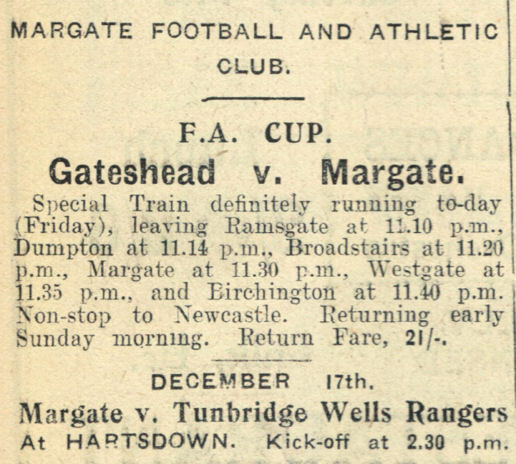 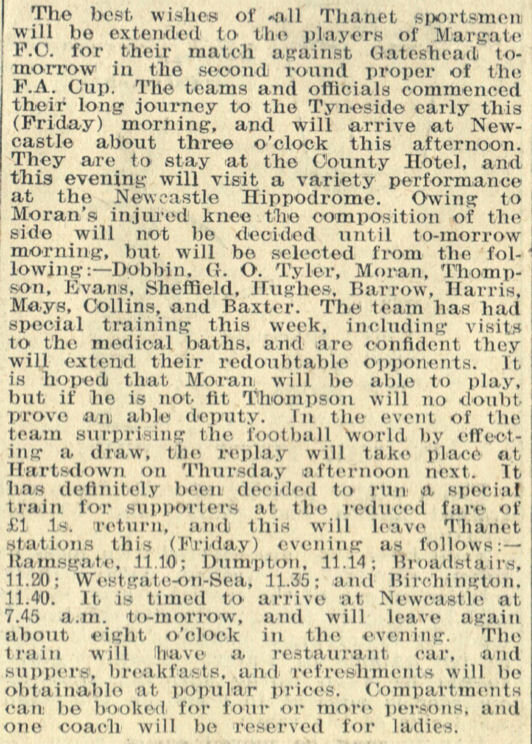 After beating Ryde Sports from the Isle of Wight 5-0 in the 1st Round Proper Margate made the long trek to Third Division (North) outfit Gateshead in the 2nd Round and a first minute goal from former Gateshead player Bill Harris gave them the perfect start. 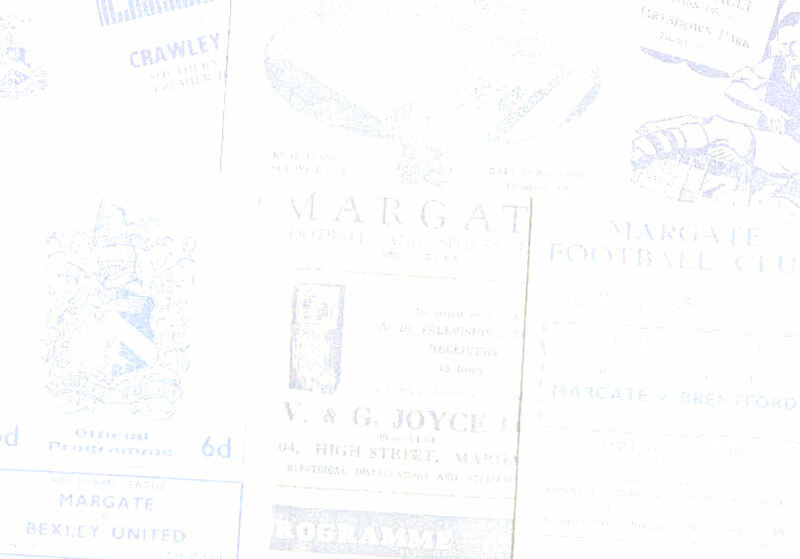 The prolific Billy Mays put Margate 2-0 up six minutes later and there was no further scoring in the first half but after losing captain George Evans to a thigh injury shortly after the restart Margate eventually crumbled. 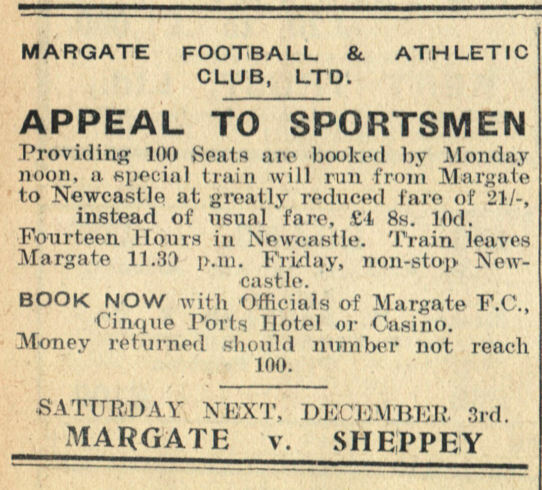 After 70 minutes Gateshead were level and they added three more goals before the end, two of them in the last three minutes, to give the scoreline a lopsided look.